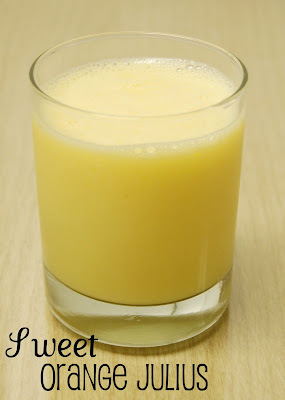 Orange Julius has always been one of my favorite summertime breakfast treats. This orange Julius recipe promises a cold, sweet and delicious drink! Blend in a blender until ice is completely crushed and has a smooth consistency. *You can change the consistency by altering the water with out affecting the flavor too much. that sounds so good right now! I will try your Orange Julius, and will follow your blog. Great ideas!